Heleen Wyffels (°1992) studied History at the University of Leuven and graduated in 2014 with a dissertation on widow-printers in sixteenth-century Antwerp. At Maastricht University, she obtained an MA in Arts and Heritage in 2015 with a study on participatory heritage projects. 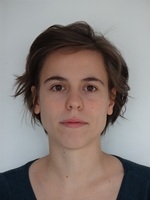 Since 2016, she works in Leuven as a PhD-fellow of the Research Foundation-Flanders (FWO), preparing a doctoral thesis on widow-printers in the Habsburg Low Countries (long 16th and 17th centuries), under the supervision of prof. dr. Violet Soen and prof. dr. Johan Verberckmoes. H. Wyffels, ‘Behoedsters van het familiebedrijf? Vier weduwen-drukkers in het zestiende-eeuwse Antwerpen’, in: Handelingen (Koninklijke Zuid-Nederlandse Maatschappij voor Taal- en Letterkunde en Geschiedenis), [forthcoming].